Cassville Schools rewards kids for attending school as they believe it is one of the most important things students can do to help achieve academic success. At Eunice Thomas Elementary, every month one class per grade level is presented with the “Best Attendance” trophy and “Most Improved Attendance” trophy. 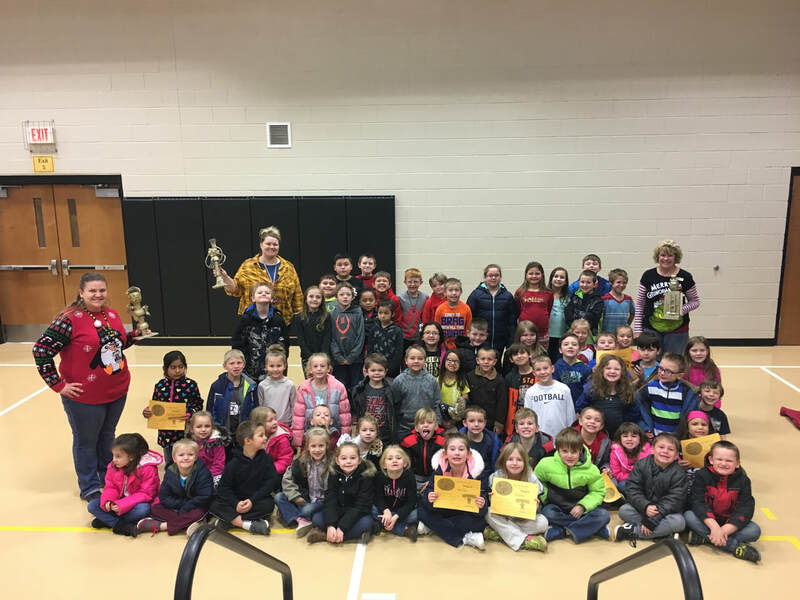 The November winning classes for Most Improved Attendance were Ms. Wilson’s kindergarten class, Mrs. Crawford’s first grade class and Mrs. Lyall’s second grade class.